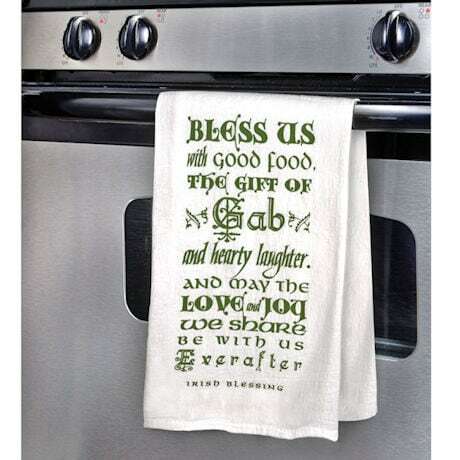 Bless us with good food, the gift of gab, and hearty laughter/ And may the love and joy we share be with us ever after. A traditional Irish blessing, printed in green on 100% cotton. A sweet housewarming, hostess, or just-because gift for anyone with a kitchen. Sold as a pair. 18" x 22". Machine wash and dry. Imported.